Service Design Drins Milan #7 is here! 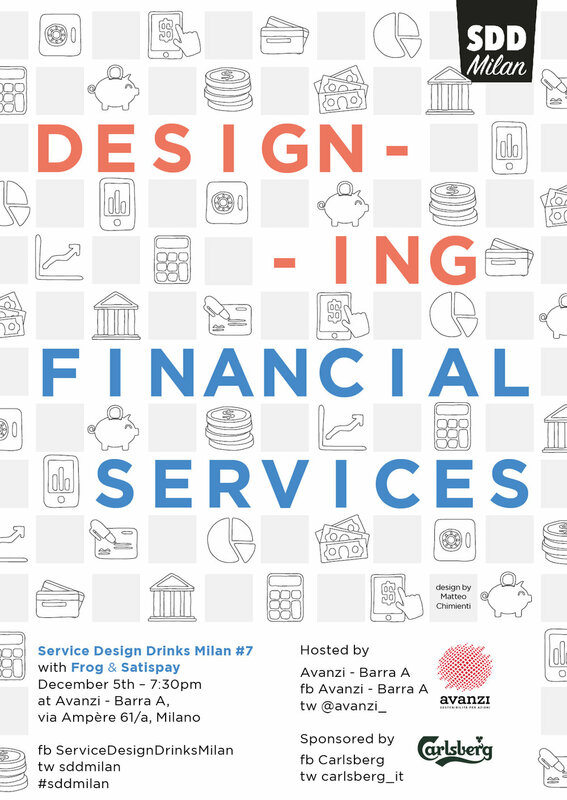 Our speakers will offer interesting insight on how Service Design can positively affect financial services. Thanks to rising technologies such as mobile payments, customers are changing the way they manage money with. How can banks and insurance companies keep up with this scenario? Together with international design firm frog and mobile payments company Satispay we will understand how practices & tools from Service Design can affect this complex and multifaceted world. frog is a global design and strategy firm. They transform businesses at scale by creating systems of brand, product and service that deliver a distinctly better experience. Satispay is a new payment system that allows you to pay stores or friends from your smartphone, through a new platform that is independent from traditional payment methods such as debit and credit cards.